Jambalaya is one of those dishes that is packed full of multiple flavors and textures. It’s a great recipe and this version makes it even easier! 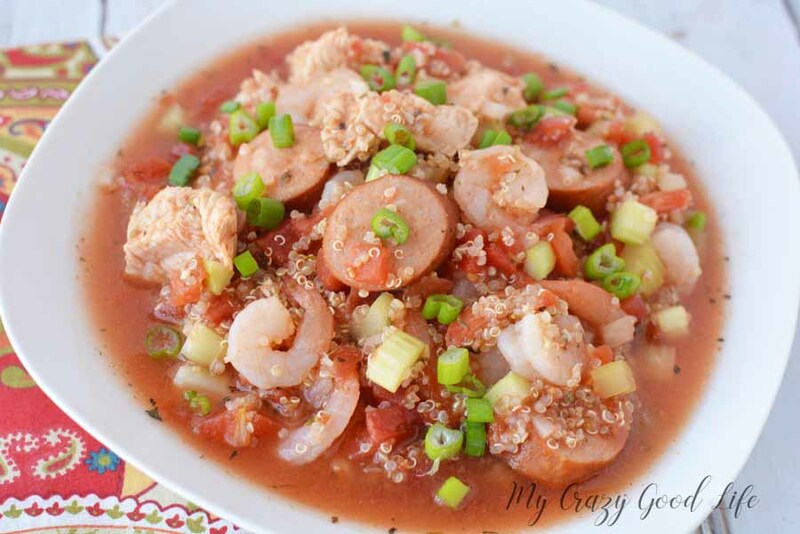 Check out this simple and easy recipe for Crockpot jambalaya. 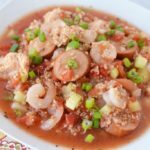 If you’re interested in an Instant Pot Jambalaya recipe, I’ve got one of those too! My take on this classic is lighter, FIXed, and perfect for those busy weeknights when you want something delicious without all the extra work! You’ll need your trusty Crockpot for this one, it’s the easiest way to make sure all of these great flavors come together in one bowl. 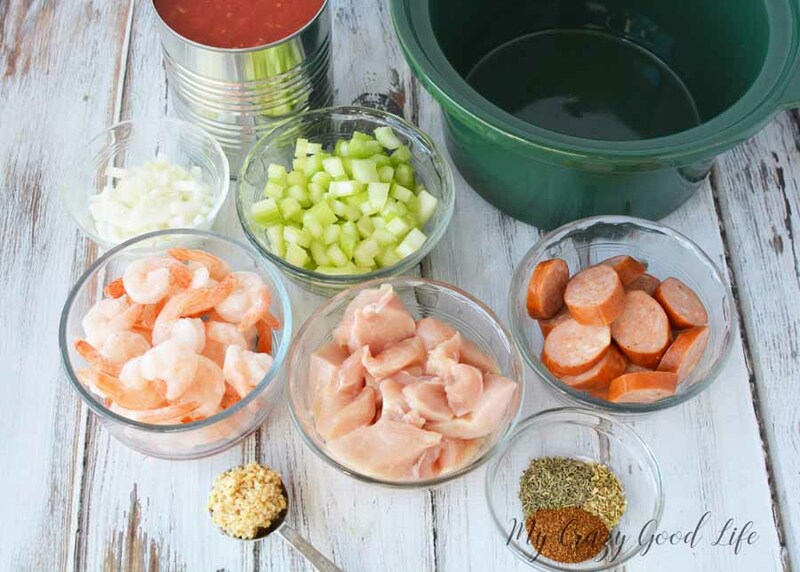 In just 5 easy steps you will have this delicious crockpot jambalaya ready to go! I’m serious, check this out, it couldn’t be easier. 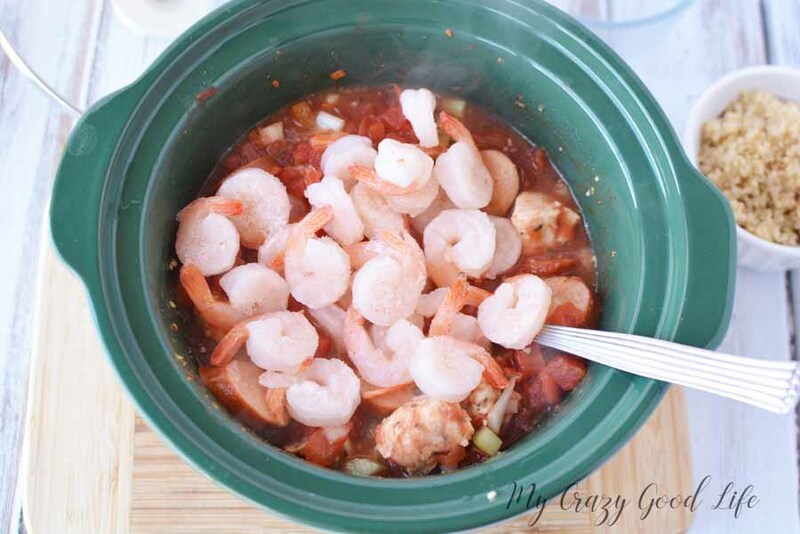 Combine all ingredients, except shrimp and basil, in crockpot. Cook on low 6-7 hours or until chicken is done. Cook on high an additional 30 minutes. This easy jambalaya recipe is great but it’s just one meal right? You need more, I get that…I’ve got you covered! 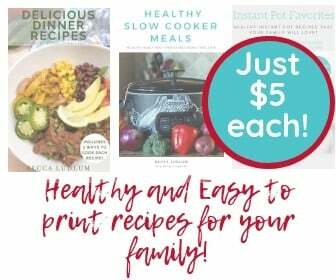 Here are some other great recipes that I think you will really enjoy. Don’t worry! I’ve got your container counts for this delicious recipe right here. If you make changes or substitutions make sure they’re in equal amounts of the same category or you’ll need to make adjustments to these calculations. Jambalaya is one of those dishes that is packed full of multiple flavors and textures. It's a great dish and this version makes it even easier! 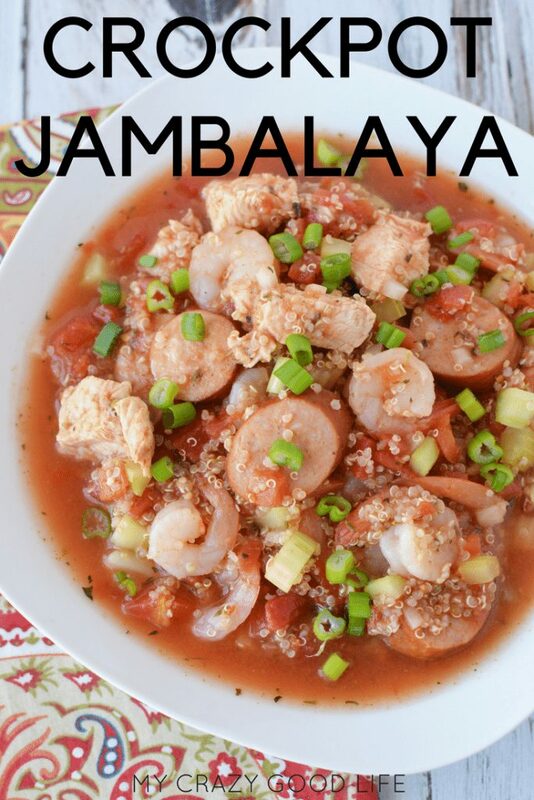 Check out this simple and easy recipe for Crockpot jambalaya. Add shrimp and basil and cooked quinoa, red, or black rice.